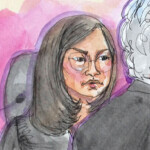 Samsung and Apple return to the courtroom of Judge Lucy Koh on Thursday as both sides will argue certain post-trial motions that can change the results of the trial. Judge Koh has already spent weeks going over the motions and could decide to make a ruling on some or all of them on Thursday. 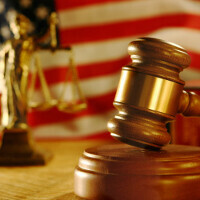 One of the most important is Samsung's request for a new trial based on juror misconduct. Jury foreman Velvin Hogan failed to tell the court that he took Samsung partner Seagate Technology to court, hiding a possible vendetta against Samsung and foreign companies. Furthermore, Hogan fancied himself a big-time inventor because of a patent he had received. He used that experience to take over as jury foreman and allegedly used incorrect legal principles to guide the jury to its verdict against Samsung. The verdict awarded Apple $1.05 billion, a figure both sides are trying to change. Samsung says that hundreds of millions of dollars should be taken off the verdict award as they were incorrectly computed, while Apple claims that because Samsung was found to have willfully infringed on Apple's patents, the latter is allowed to request that certain damages be tripled. Not all of the $1.05 billion is covered by this, so Apple seeks $535 million more. 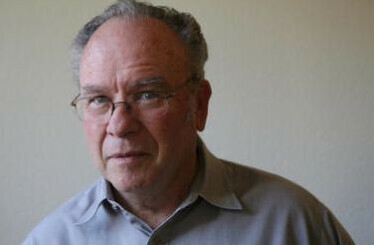 Was jury foreman Velvin Hogan biased against Samsung? Apple is also asking for the ban on the sale of certain Samsung products including older versions of its Samsung Galaxy smartphone and tablet. There is a total of 26 products that Apple wants removed from the market. Most of these are older models many of which have been modified with workarounds so as not to infringe on Apple's patents. 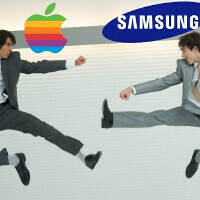 Apple and Samsung have been battling each other globally. In the states, it has been Apple that picked up the victory in the first San Jose legal fight, and a victory with a preliminary ruling in front of the ITC. In the U.K., Samsung fared better as a judge ruled that the Korean based companmy did not copy the Apple iPad, Other cases are being heard in Germany, South Korea and Australia. Both sides have a lot riding on Thursday's hearing and hopefully there won't be a long wait for the decision. This is getting tiring to see. I just wish they'll reach into a friendly settlement ASAP. A settlement and a licensing agreement would work. Samsung should just go on ahead and pursue it. Pay the dues like every other OEM has done when using someone else's patents. yea they should do so ONLY if it's whats right.......NOT because its what YOU believe should happen! Throw the bias ruling out! Every one deserve a fair trial. 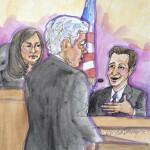 Sammy gonna win this case for sure...!! I really wish that PA will just report the outcome of this post-trial hearing. No need for fillers. Apple just needs to get their asses handed to them for being so arrogant and stubborn. If they truly were running any kind of innovation, they wouldn't be b*tching about people copying them. It's been happening for years, what makes this even more ridiculous is that Apple is suing Samsung for using the same technology that Samsung provided Apple in the first place. Smh. i wanna try ios but it's super duper expensive here!!! 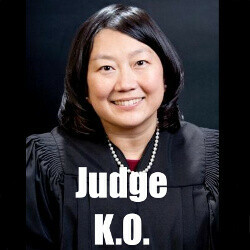 Yup, the date that Apple's verdict gets overturned will be a black day for Mxy. But cheer up Mxy, you can still claim that Apple was wronged. You just won't have many who believe as you do. 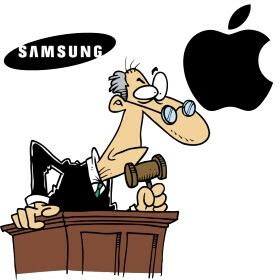 http://www.washingtonpost.com/world/tokyo-court-finds-no-samsung-infringement-on-apple-patent-in-latest-in-global-battle/2012/08/31/49b14bf4-f348-11e1-adc6-87dfa8eff430_story.html Other countries are not finding that Samsung infringed on APPLE. In the U.S., however, it is possible that the government sees APPLE as an important cog in the economy and will do everything possible to protect the company. He has that shifty look that some people get when they are caught red-handed with their hand in the cocky jar. EXACTLY!!!! I'm sorry, but he got that same look as Elop, the look that just push people to bully them. STUPID B.. KOL AND STUPID B.. APPLE.